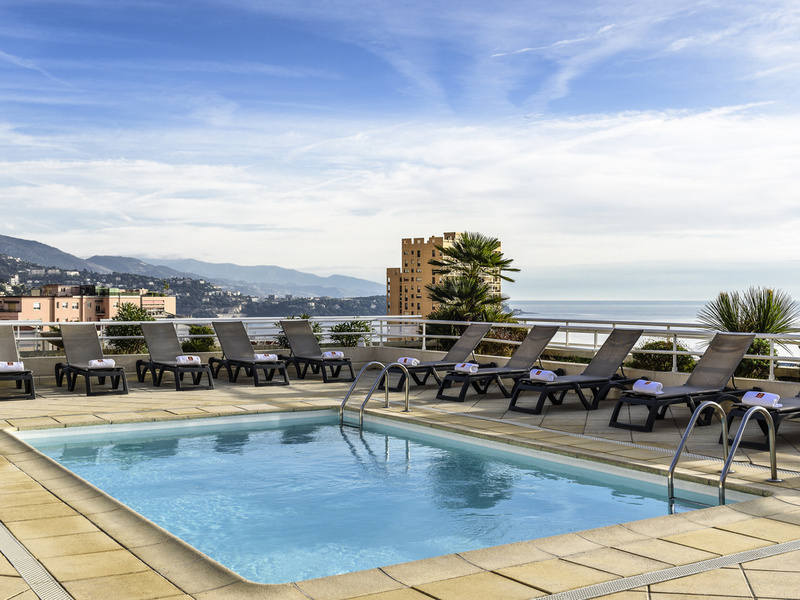 Located right on the border of the Principality of Monaco, the Adagio Monaco Palais Joséphine is just a few minutes from the Monaco convention center and the casino. 99 spacious and air-conditioned apartments, ranging from studios for 2/3 people to 3 rooms accommodating 5/6 people. The Aparthotel is in the heart of the vibrant Belle Epoque district of Beausoleil, with its palm tree-lined pedestrianized street and many shops. A rooftop pool and indoor car park are provided for your convenience. Nice and comfortable. Very friendly welcoming. We were very setisfied from everything. You were helpful and friendly. The room and all around were wonderful. Thank you. The apartment was in a really good location with some nice cafes and restaurants close by.The staff were friendly and the room was clean and comfortable.We had breakfast at a beautiful little bakery / cafe down the street.I would stay here again. From the warm welcome until our friendly accompanied early-morning check-out one week later, we spent a wonderful time in the clean, well-equipped and absolutely professional managed apartment hotel. The always friendly and multilingual staff offered an excellent service which made our stay as comfortable as possible. Palais Josephine is highly recommendable, not only due to the easy access to the most beautiful shopping center and stores, which are only a few minutes to walk, but also due its closeness to the famous Casino Monte Carlo. A great nice-to-have for my daughter was the open air pool on the roof of the building with view to the sea. Great. Staff are so friendly and polite. Friendly and professional reception and stay in a hotel with excellent location at a reasonable price. It was very nice to stay with you, which is why I do it several times a year! Friendly and personal welcome, that made an effort to give me the same room that I like. The room was nice and clean, and the service very helpful. Good location, clean and good facilities. Great personal, nice and comfortable apartments, superior view. I had a good stay at the hotel. The staff were very friendly, the room was nice and clean and the breakfast was very good. The pool is small, but I enjoyed just cooling down in it in the hot sun and the beach isn't that far away either. 1 night stay. Studio apartment is spacious, wifi works well. Before arriving I saw on the hotel website that there is covered parking available for a fee. I called the hotel before arriving and was told that they had no parking but that there are 2 public garages nearby. When I arrived I parked at one of them and later discovered that in fact the hotel works more with the other one which is closer and costs less. It would have been helpful to have been informed of this when I telephoned. While the apartment was satisfactory, the air conditioning system was off. After going back to the reception and asking staff, I was informed that the air conditioning wouldn't be turned on until a specific date 4 days in the future. It seems rather silly to turn on air conditioning according to a calendar date rather than the prevailing weather conditions! Our apartment was at least 28c during our stay which made for very uncomfortable sleeping. Would I return? Probably, but definitely not before the date the a/c is activated. wonderful staff and spotless room as always. A very good apart hotel with very comfortable facilities. Fantastic to explore Monaco. Staff was extremely friendly and hotel clean. The location is fabulous, next to a market and steps away from Monaco Casino. Some pieces of furniture could use a refresh though. Great experience, thanks a lot for your hospitality!